Google Earth Pro is now free. Earth Pro gives you the ability to export HD movie files of your tours and save high-resolution JPGs — great for telling visual stories across TV, web and print. Sign up for a license key (http://goo.gl/rbm2iZ) then download Earth Pro (http://goo.gl/GrIjF5). From Fes we drove through the Rif mountains on secondary roads through Ouezzane to the lovely town of Chefchaouen. Founded in 1471, this little town is full of white buildings painted all kinds of shades of blue. The doors and buildings are just delightful! The blues makes it very soothing to walk around the alleys. 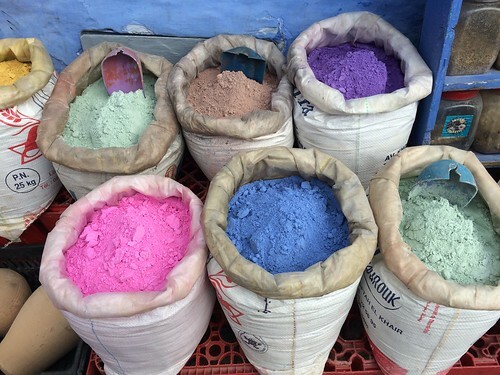 One of favorite parts was seeing the bags of paint and the lovely colors to choose from. This town is known for it's weavers. Each weaving was made from the loveliest color color and textures and were hard to choose from. It really struck me was how important color was and how it was used everywhere in this village. I love color and how colors go together so it was very special experience. The kasbah is located in the center of town and has a interesting garden. We met one of the caretakers who was 90. The hotel we stayed in was charming and reminiscent of a chalet in Bavaria. The ceilings and furniture were all painted with designs. I think this village is a little hidden treasure and reminded me a bit of Khatmandu many years ago. After 2 nights in Chefchaouen we drove north towards Tangier. It was spectacular following the coastline of the Mediterranean then going up over the hills, seeing Cap Spartel which is across from Gibralter and then coming down on the other side to the Atlantic. We spent two days at Le Mirage Hotel with one of the most spectacular beaches I have ever seen with absolutely no one on it. We walked and walked and never saw one person. We also had a fabulous lunch at L'Ocean with fish probably caught right off that beach. From Tangier we started our drive back to Rabat. We made a stop in Asilah which is heavily Spanish influenced and seems to be an artists' colony. The walls and doors in the medina are covered with paintings. This is another hidden jewel - so clean and fun to poke around. 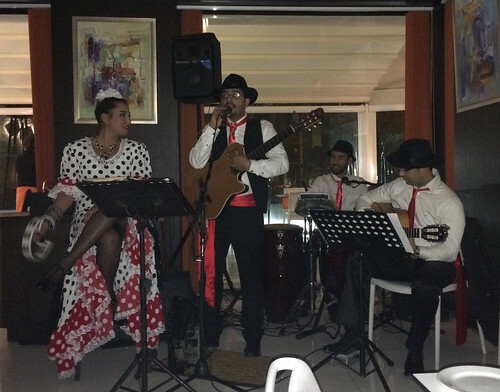 We ended our trip back in Rabat celebrating New Year's Eve at a spectacular restaurant with an amazing 7 course meal and great music by this flamenco group. They must have been famous because everyone was getting their picture taken with them. This was such a fabulous trip! Thank you to my hosts Lyne and Drew who did an amazing job organizing everything and traveling with me all over! You guys are THE BEST! "As a result of our learning together, participants will leave with clear strategies for utilizing social media for personal learning network development. We will take a critical look at popular social media services to determine effective ways to engage with other educators and sustain meaningful conversations focused on learning." 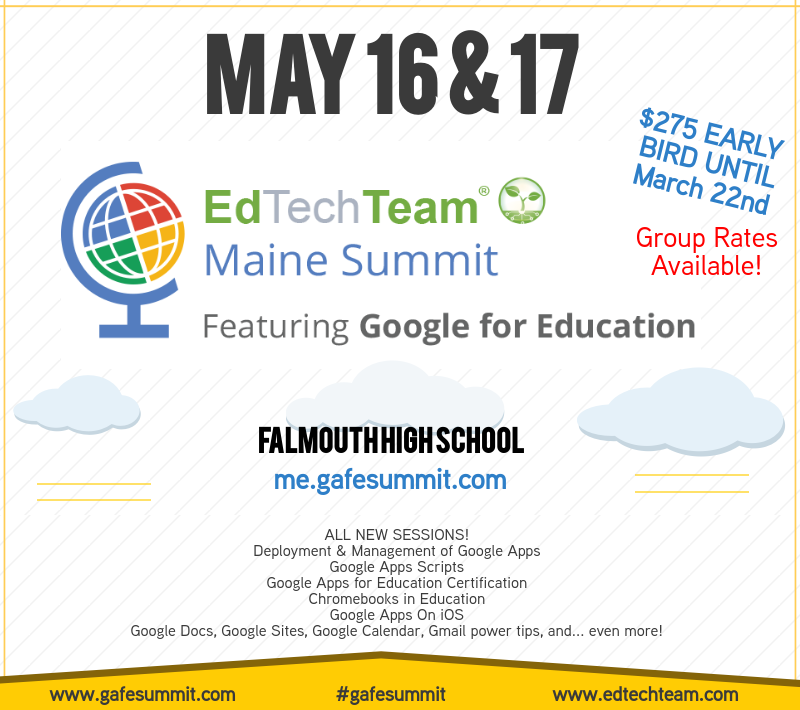 Teach Tech Trussell: Google Classroom, Doctopus and Goobric - The Ultimate Workflow! and hopefully also in Farmington on Feb 7th! Thank You for the Follow! (alice barr (@alicebarr) is now following you on Twitter!) Great to have you in my PLN. "You want a way so that you can still provide meaningful feedback but you don't want to spend hours doing it. Here is your solution, create your very own shortcuts!" So excited you're here to joinb tonight! @alicebarr So excited you're here to joinb #gafechat tonight! So good to see you guys tonight! Sylvia Duckworth on Twitter: "The 4 stages of teacher confidence in the use of technology by @ICTEvangelist @Braddo @rebezuniga @dougpete @gcouros http://t.co/6q0zu2FCSX"
Friday Follow! Thanks for all you share! "Google Classroom Mobile App Has Arrived!" "Here are a few suggestions on why you would want to use this feature: students can sign up for 1-on-1 tutorials teachers can reserve the computer lab teachers can sign up 1-on-1 tech help parents requesting a conference Follow these quick and easy steps to get started:"
Tanya Avrith on Twitter: "#digcit as an add on - if it is going to be done well it needs to be a shift in pedagogy http://t.co/AjZx0kWjq4"
"At the start of a webinar I recently conducted for school leaders, I asked attendees if they felt they were leading an innovative school as a result of the implementation of technology. More than 90 percent responded that they were. At the end of the webinar, when polled again, only one leader claimed to be leading an innovative school." We drove from Fes through fertile countryside to the Roman Ruins of Volubilis, a city that began in the 3rd century BC. Most notable are the mosaics which are intact in the ancient baths of the residences. I'll be posting the rest of the trip as I upload more pictures. "HOW LEGO BECAME THE APPLE OF TOYS"
Google Form (survey) that can remove items as they are chosen. "The Smithsonian vowed that it would open up its digital collection by early 2015, Both the institution's Freer and Sackler galleries have posted over 40,000 pieces of global art online, all of which can be used for non-commercial purposes for free. Choose your own adventure in Google Drive. This past December I visited Lyne and Drew Sayles in Morocco. It's been on my bucket list and I am happy to say it was a fabulous place to visit. Lyne came up with suggested places to go. And she did not disappoint. Morocco is a wonderful mix of culture, both first and their world. The food is amazing and oh yes, there are LOTS of stairs! A few people asked for the itinerary after seeing my pictures on Facebook, so here's a start. I flew Boston > Paris > Rabat. Morocco is only 5 hours ahead of EST so the trip was easy. After a lovely evening and meeting some friends, we headed out to Fes. The medina in Fes is made up of 9,000 alleys, twisting and turning every direction! There are no vehicles inside. You go down, down, down, in to the center of the medina where there are souks of every kind. I had fun looking at carpets and had to turn my nose up in the tannery. Then up, up, up to come back out. There are so many doors and mosques to look at along the way. Stairs are everywhere, most of them narrow. It seems as though everything is built on top of something else. Questioning is the key to critical thinking and through questions students get to explore the deep layers of meanings that would otherwise go unnoticed. Of course not all questions have this analytical ability. For instance, closed questions tend to limit the thinking choices available for students. The same with questions that promote factual recalling. Questions that emphasize the mechanical on the analytical are out of the list.